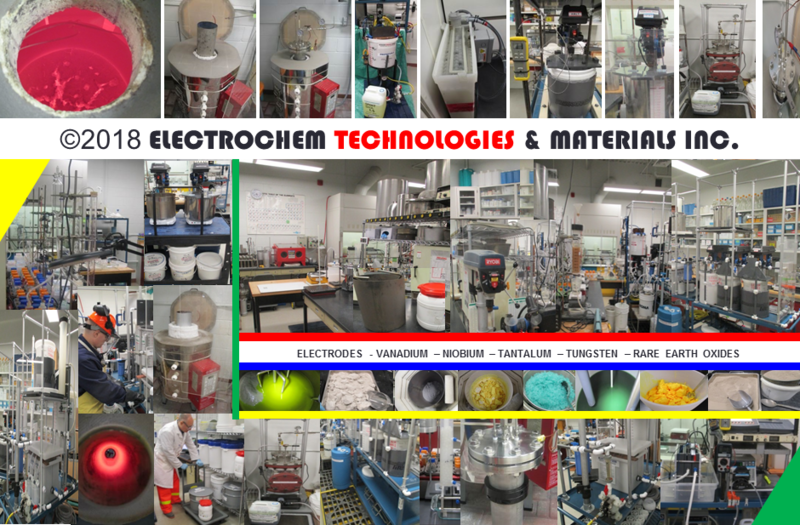 ELECTROCHEM TECHNOLOGIES & MATERIALS INC. is primarily a R&D and technology development company that invents, develops, scales-up and commercializes proprietary electrochemical technologies and manufacture industrial electrode materials that are innovative and sustainable. 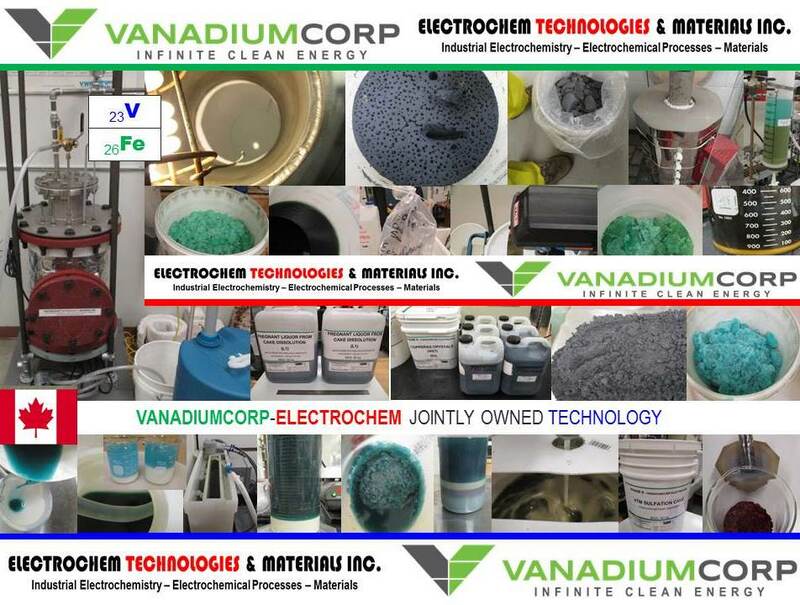 Our targeted global markets are the mining, mineral processing, metallurgical and chemical industries with a particular focus on recycling, remediation, regeneration and treatment of mining residues, spent acids, pregnant leach solutions (PLS), end-of-life (EoL) materials, metallurgical wastes, and industrial wastes. We also provide professional services performed in our fully equipped 700-square foot laboratory (see below), that include experimental test work, laboratory-scale research on novel hydro-, electro-, or pyrometallurgical and chemical processes or adaptation of existing chemical or metallurgical technologies to address new industrial situations and market transformations, followed by mini-pilot plant demonstration, preliminary engineering, and preliminary cost and benefits analysis. 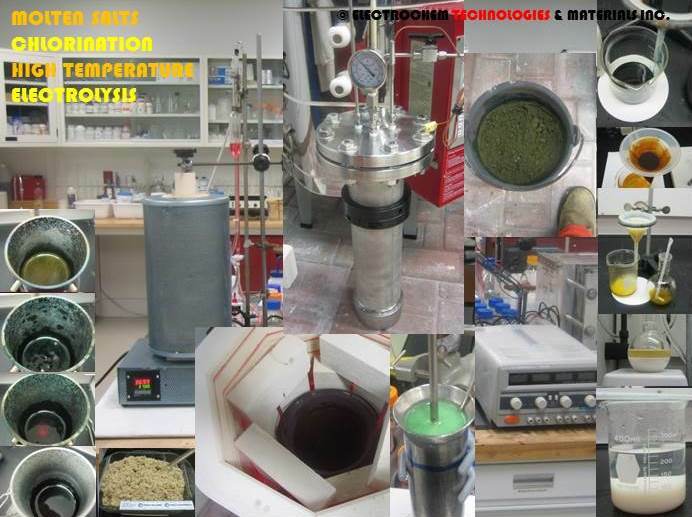 Projects range from laboratory-scale experiments to continuous pilot or demonstration plants. We have also developed over the years strong scientific and technical knowledge and market intelligence in minerals, metals, advanced materials, and specialty inorganic chemicals. Upon request, we publish in-depth research reports and conduct client-sponsored research and in-depth technology and process evaluations. Reports for our clients remain strictly confidential. Such reports comprise for instance: (1) Comprehensive scientific and technical reviews of existing technologies. (2) Detailed descriptions of current commercial manufacturing processes. (3) Descriptions of industry production trends, major producer locations and nameplate capacities. (4) Detailed supply and demand analysis of current markets for industrial minerals, metals, advanced materials, chemicals or group of chemicals. Finally, (5) detailed evaluation of the size and nature of specific end-use markets and trends. to conduct mining prospection or geological exploration for the sourcing of strategic raw materials and metals worldwide. Electrochemical regeneration of spent acids from pregnant leach solutions (PLS). Electrochemical recovery of metal values from pregnant leach solutions. Electrochemical removal of traces of heavy metals from industrial effluents and acid mine drainage (AMD). 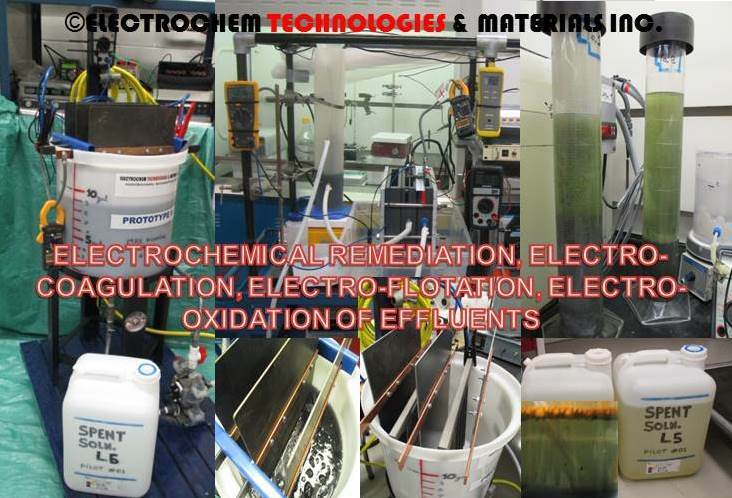 Electrochemical recovery of metals values from mining residues, metallurgical and industrial wastes. Electrochemical destruction of agricultural wastes (e.g., hog manure). Electrochemical oxidation (e.g., ammonia waters, landfill leachate). Electrocoagulation (e.g., acid mine drainage). Design and construction of electrolyzers from bench scale to mini-pilot scale. Polymer concrete cells, rectangular cells, three-compartment cells, tubular cells. Preparation of dimensionally stable electrodes. Preparation of mixed metal oxides anodes (MMO). Preparation of sacrificial electrodes and nonconventional ceramic materials. Service life and failure mode analysis of electrodes. 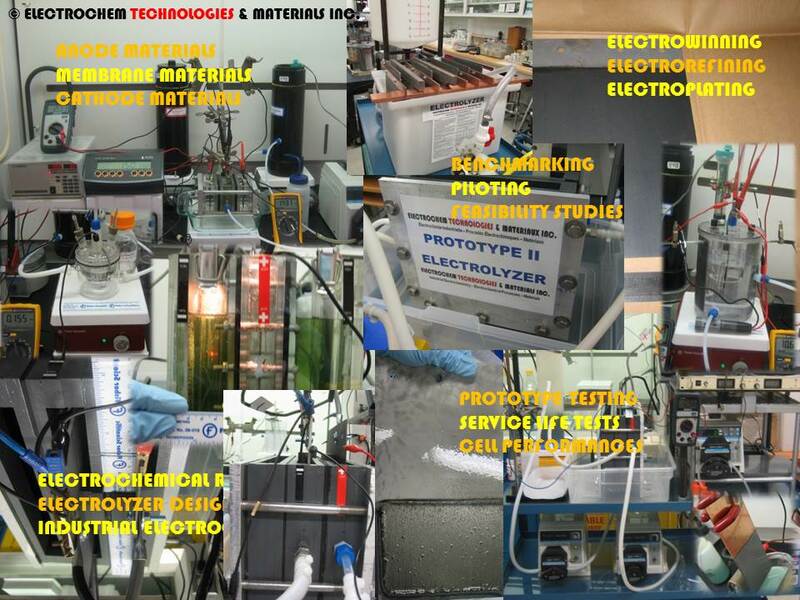 Benchmarking of commercial electrode materials. Service life and failure mode analysis of ion exchange membranes. Benchmarking of commercial ion exchange membrane materials. Inert anodes for electrowinning lithium, magnesium, and aluminum. Electrocoating of metallic substrates in molten salts. Steady state and transient voltammetry. Electrical conductivity and transport properties. Acid leaching of ores and concentrates using counter-current cascade reactors. Alkaline or caustic leaching or ores and concentrates using counter-current cascade reactors. Hydrometallurgical processes for the recovery of vanadium, niobium, tantalum, chromium, molybdenum, and tungsten. Refractory metals and their alloys (e.g., Ti, Zr, Hf, V, Nb, Ta, Cr, Mo, W). Precious and noble metals (e.g.,Cu, Ag, Au). Platinum Group Metals (e.g.,Ru, Rh, Pd, Os, Ir, Pt). Advanced ceramics and high temperature refractories. Corrosion resistant materials and coatings towards molten caustic alkali-metal hydroxides and carbonates (e.g., NaOH, KOH, LiOH). Corrosion resistant materials and coatings towards strong mineral acids and their mixtures (e.g., HF, HCl, H2SO4, HNO3). Corrosion resistant materials and coatings towards mixtures of iodine-hydroiodic acid and bromine and hydrobromic acid (e.g., HI-I2, HBr-Br2,). Chemical and electrolytic polishing of titanium, zirconium, hafnium, tantalum, niobium, molybdenum, and tungsten. Design and construction of thermal insulation, selection of power supply and instrumentation. Transfered and submerged DC/AC electric arc furnaces (EAF, SAF). Selection of refractories and castables. Heat transfer and electrical calculations. Density, viscosity, surface tension, wetting and contact angles. Electrical conductivity, vapor pressure, and specific heat capacity. Metallothermic reduction of reactive and refractory metal oxides (e.g., aluminothermic, calciothermic). Purification and handling of liquid alkali metals (lithium, sodium and potassium). 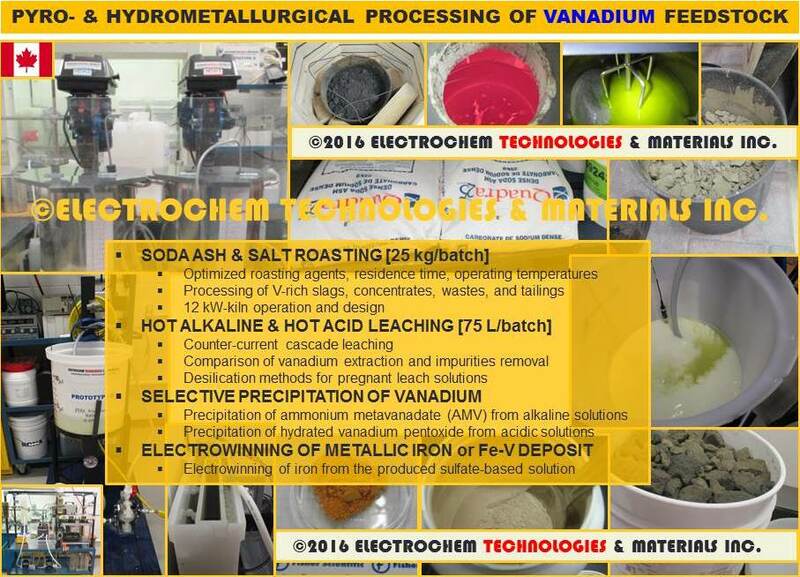 Pyrometallurgical processes for the recovery of vanadium, niobium, tantalum, tungsten and rare earths. Ferroalloys production (ferro-titanium, ferro-silicon, ferro-niobium). Design of bench and pilot scale chlorinator (i.e., fluidized bed, feeder, cyclones and settling chambers). Low temperature carbo-chlorination of titanium oxycarbides (TiOCs) and oxynitrides (TiONs). Carbo-chlorination of ferroniobium (FeNb) and ferrotantalumniobium (FeTaNb). Monitoring of phosgene (COCl2) concentrations in off-gases and refractory metal chlorides. Reduction of carryover by various techniques (e.g., quenching, free-board expansion, cyclones). Sourcing of strategic metals (lithium, vanadium, niobium, tantalum, tungsten, rhenium, rare earths and thorium). Abandonned or active mine sites auditing with team of professional geologists and mining engineers. Gravity separation (heavy media, jigs, hydrocyclones, spirals). Radioactivity from rare earths oxides (REOs) concentrates (monazite, bastnaesite, xenotime and loparite). NORM and TENORM in the mining, mineral processing and metallurgical industries. Plant Auditing and Due Diligence. Capital Costs (CAPEX) & Operating Costs (OPEX) estimates. Preliminary financial evaluation (NPV, IRR, ROI, payback), sensitivity and risk analysis. Securing Intellectual property and patents. Professional reports and market analysis. 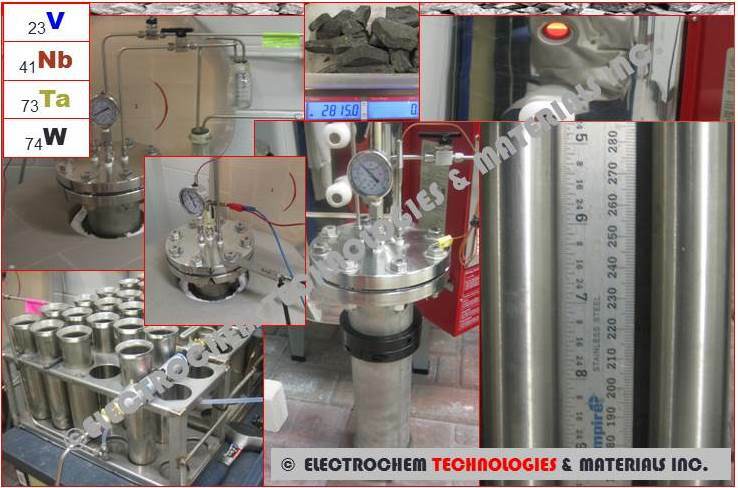 Website: http://www.electrochem-technologies.com All rights reserved. Do not duplicate or mirror this site. Keywords: industrial electrochemistry, electrochemical engineering, electrochemical processes, electrothermal processes, transfered and submerged electric arc furnaces, aluminothermic and carbothermic reduction, ferroalloys, electrofused ceramics, materials engineering, materials science, materials data, properties of materials properties, aqueous electrolytes, molten salts, fused salts, electrolysis, electrode kinetics, corrosion science, electrodeposition, electrowinning, electrorefining, electrocatalysis, electrooxidation, electrocoagulation, electrofloculation, electrodes, cathodes, inert anodes, dimensionally stable electrodes, chlorine evolution, oxygen evolution, mixed metal oxides (MMO), activated titanium anodes, oxide coated titanium anodes, lead anodes, refractory metals, molten slags, liquid metals, lithium, cesium tungstate, titanium, zirconium, hafnium, vanadium, vanadium pentoxide, vanadyl sulfate, ammonium polyvanadate, sodium metavanadate, vanadium redox battery electrolyte, vanadium electrolyte production, VanadiumCorp-Electrochem Processing Technology (VEPT), niobium, tantalum, chromium, molybdenum, tungsten, rhenium, rare earth elements, thorium, uranium, applied mineralogy and petrography, extractive metallurgy, pyrometallurgy, hydrometallurgy, electrometallurgy, natural radioactivity, recycling, mining residues, metallurgical wastes, industrial wastes.